Media conglomerate Comcast Corp. is known for its cable system and TV networks. Meanwhile, venture fund Comcast Ventures has been backing innovation across country since 1999, with offices in San Francisco, Palo Alto, New York, and Philadelphia. 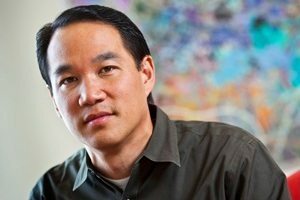 Michael Yang, managing director of the Silicon Valley office, spoke with Xconomy about the types of investments Comcast Ventures looks for such as companies in the digital health sector. BodyMedia in Pittsburgh, one of Comcast Ventures’ latest portfolio companies, develops wearable exercise and health monitors used by contestants on NBC’s televised weight-loss competition “The Biggest Loser.” Comcast Ventures’ other investments include app maker Flipboard in Palo Alto; mobile enterprise software company Enterproid in New York; digital video recorder maker TiVo in Alviso, CA; and Web guide About.com, which is now owned by Barry Diller’s Internet company IAC in New York. With 2013 just starting, Yang gave a glimpse of the strategies at play at Comcast Ventures. Xconomy: Which sectors and industries does your venture fund look to for potential deals? Michael Yang: Our investments fall into four major classifications: consumer-centric technology and companies, advertising-based businesses, enterprise-centric startups, and the infrastructure space. We have several trends and themes we are focusing our investments on. Obviously digital healthcare. We are spending a lot of time looking at cloud-based technologies and big data. That’s targeted more at the enterprise and also on the infrastructure side. We have been very prolific investors in ad tech. There’s a lot of expertise we can glean from [Comcast Corp.]. We are also big believers in the resurgence of commerce, e-commerce, and mobile commerce. Because we have insights and expertise on things related to content and video in a content manner, we are also highly interested in those types of opportunities. Think of all the online video ecosystem and the content producers that are spawned off of YouTube. X: How do your various offices stay plugged into the innovation communities in different parts of the country? MY: When you look at our history and see where we’ve invested, we obviously map very closely to the major tech and innovation hubs. New York, Boston, and the Bay Area principally, and opportunistically in other markets. The origins of the fund were in Philadelphia; all of the investment professionals were based and housed there. About four years ago we started to plant boots on the ground on the West Coast with a Valley and a San Francisco presence. That makes a lot of sense since we are already had up to 50 percent of our portfolio on the West Coast. New York came about more recently, principally in conjunction with our assumption of the Peacock Equity Fund, a former venture fund which was the investment vehicle for NBC Universal and GE Capital. As Comcast became the operator of NBC Universal, that venture vehicle fell under our mandate. In the last two or so years, we’ve opened and populated a New York office. This allows us to be bicoastal, which has several luxuries. Healthcare is particularly strong in New York and the East Coast as well as on the West Coast. Commerce is strong in the New York area and on the West Coast. Ad tech is New York and a little bit in the Bay Area. You see that in a number of sectors we are highly interested in. We’re thesis driven and geographically agnostic when pursuing investment opportunities. Some of my colleagues who focus on the cloud and big data may be based on the East Coast but they’ll invest on the West Coast. I’m focused on commerce and healthcare; several of my investments are on the East Coast. We’ll go wherever the right investment opportunities are. X: What interested Comcast Ventures in BodyMedia and how does that fit in with your overall investment strategy?